Popular, home-grown restaurant concept finally coming to the Southside of Jacksonville. Biscuit-loving Jaxsons that live on the Southside will soon be answering random questions (like what would you title your autobiography?) 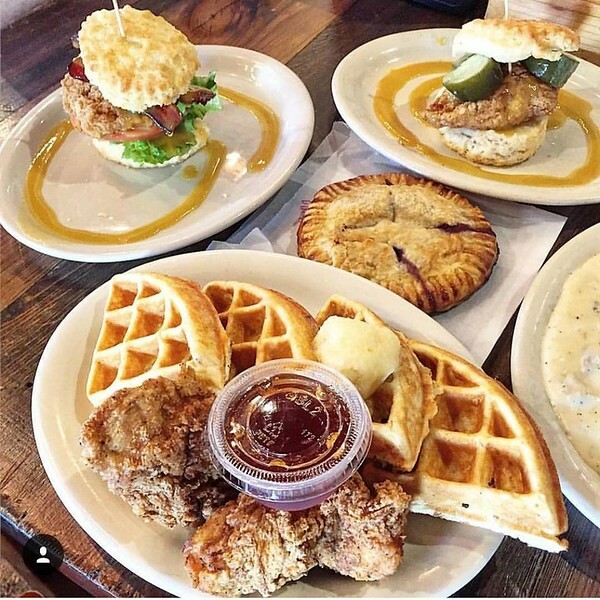 before stuffing their faces in delicious, handmade breakfast items when Maple Street Biscuit Co opens at 8358 Point Meadows Drive, near Baymeadows Road and I-295/9A. 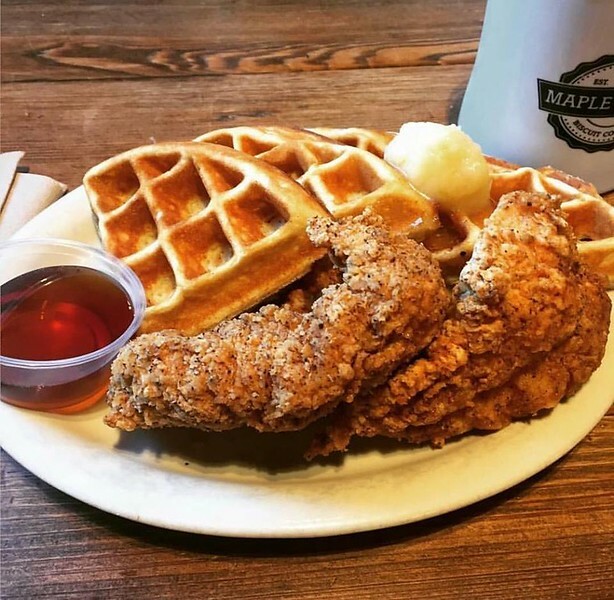 Known for their flaky, buttery biscuit-based sandwiches (dubbed ‘Comfort Food with a Modern Twist’), Scott Moore and Gus Evans opened the first Maple Street Biscuit Co in San Marco Square in 2012. 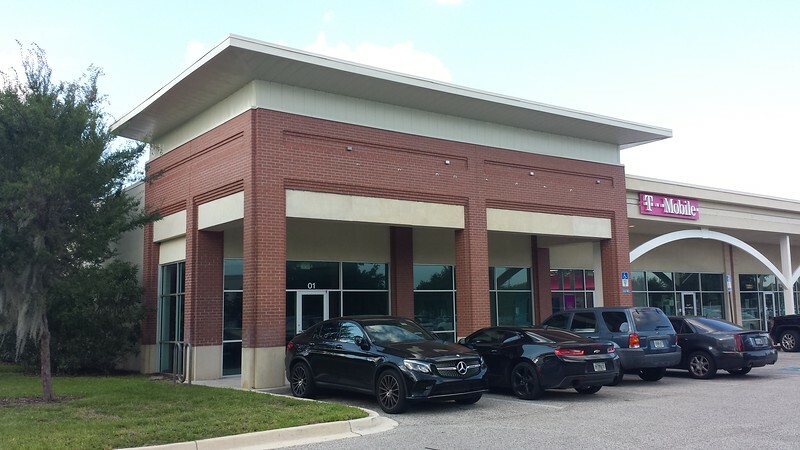 Since then, the duo have expanded a network of ‘community stores’ in multiple neighborhoods throughout Jacksonville as well as cities like St, Augustine, Gainesville, Tallahassee, Chattanooga, and soon St Petersburg. About a dozen signature biscuit sandwiches dot the menu, like the Squawking Goat stuffed with a moist, fried chicken breast and fried goat cheese medallion that is drenched in an addicting house-made, and jalapeno-spiked pepper jelly. In addition to biscuits, the menu also includes “field to fork” salads, fried green tomatoes, creamy mac-n-cheese, hearty sausage gravy and sweet potato fries. Each store features handmade, rustic wood features, community style seating and typically an outdoor dining area. Tucked away behind Walgreens and adjacent to the shopping center anchored by Winn-Dixie and Stein Mart along Baymeadows Road, the new 2,879-square-foot store will start construction soon and will hire between 20-25 people. Once construction is complete, the business hours will be Monday-Thursday open 7am until 2pm and Friday-Saturday open 7am until 3pm.